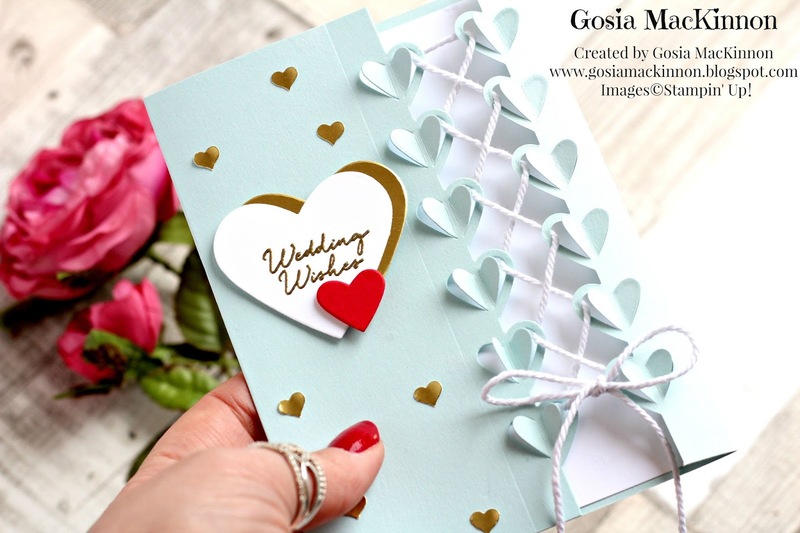 WEDDING CARD IDEA USING LOVE NOTES FRAMELITS DIES BY STAMPIN' UP! Today project is the lovely Wedding Wishes card. I made this card using Love Notes Framelits Dies to die cut the beautiful heart edges. Using the Love Notes Framelits Dies witch Big Shot, die cut one edge of the card base then turn the card base and die cut another side to make the edges look like on the pictures. 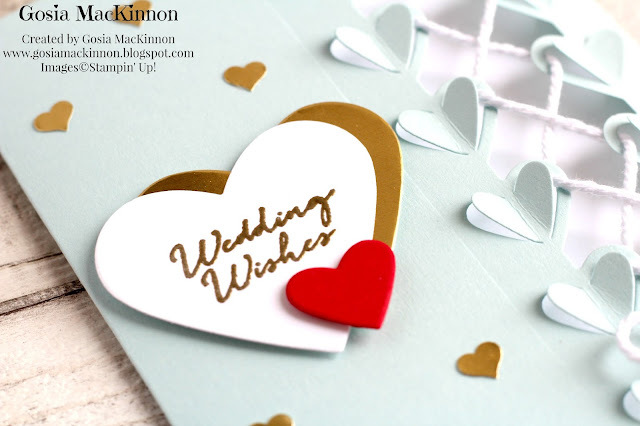 Adhere inside the Whisper White layer then take the Thick White Baker's Twine tie knots on the both ends and lace up the hearts same as you lace up your shoes, then tie bow. 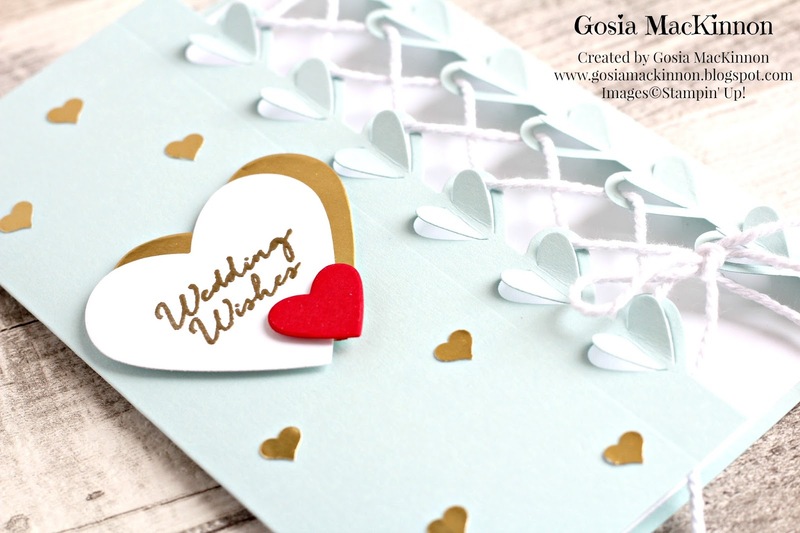 Take the fourth largest or the fourth smallest (you come with the same one) Sweet & Sassy Framelits Dies and die cut two hearts one from Gold Foil Sheets and second from Whisper white Cardstock and using the little heart die from the Love notes Framelits Dies cut one more using Real Red Cardstock. Stamp the sentiment using Floral Phrases Stamp Set using VersaMark Pad then apply Gold Stampin' Emboss Powder and use Heat Toll to finish it. 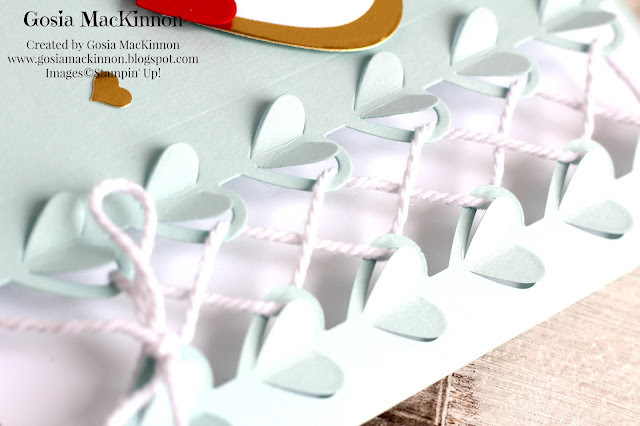 Use Stampin' Dimensionals and Multipurpose Liquid Glue to adhere the all three hearts. 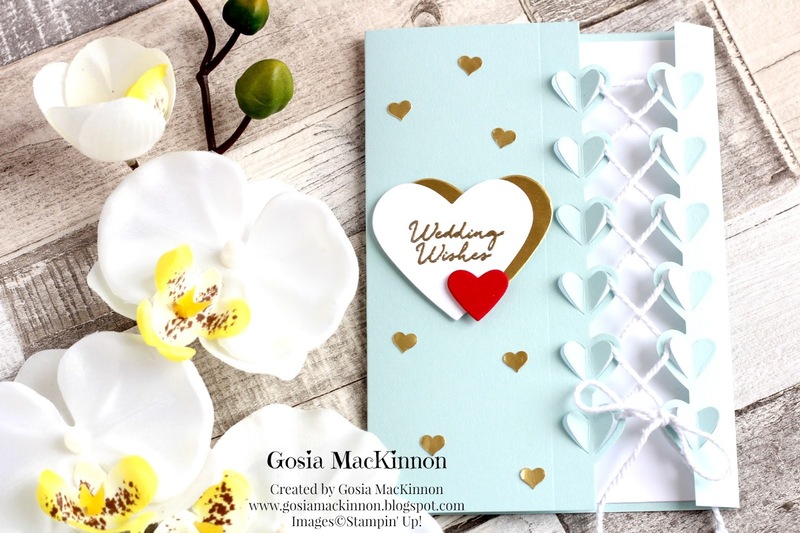 Take the outstanding Gold Foil Sheet and punch a few little hearts using the Hearts Border Puch, adhere it using Multipurpose Liquid Glue and that is it! 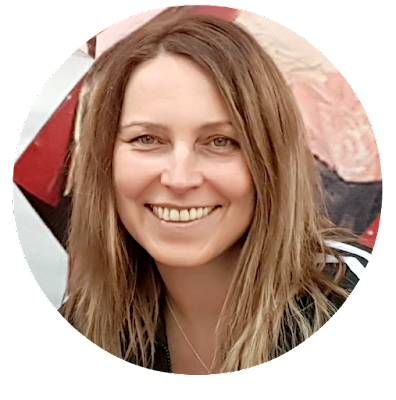 I hope You enjoy this project, please do use the hostess code (hostess code shown in the top right of my blog for the current month) to get FREE product on order £25+ (excluding postage). The food and service at this place were spectacular. I was at an amazing event here recently. The event was outdoors along the water and against a beautiful sunset. As the party moved indoors of NYC wedding venues, I was struck by the decor. Fabulous, I am glad that everything goes well. Thank you.